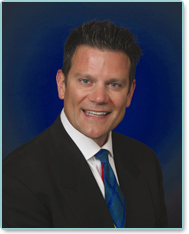 Thomas Kotoske, DO is the leading provider of the QuickLift® Face Lift procedure in the Phoenix, Arizona area. Facial plastic surgeon, Dr. Thomas Kotoske is a triple board-certified in Facial Plastic Surgery and Otorhinolaryngology by the American Osteopathic Board of Ophthalmology and Otolaryngology. He is also board certified in Total Body Cosmetic Surgery by the American Board of Cosmetic Surgery. He received his medical training at the Kirksville College of Osteopathic Medicine, graduating with honors. Dr. Kotoske then completed an Otorhinolaryngology/Facial Plastic and Reconstructive Surgery residency at Mount Clemens General Hospital, a Level 1 Trauma Center located in the eastern Detroit, Michigan area. He went on to complete an advanced fellowship in body cosmetic surgery at the Graduate Hospital, Philadelphia, Pennsylvania. In addition to serving as medical director for the Cosmetic Surgery Institute, Dr. Kotoske is the Chairman of the Department of Surgery at John C. Lincoln Hospital Deer Valley, Phoenix, AZ. He is an adjunct clinical professor in plastic surgery as well as ear, nose, and throat surgery at Midwestern University and the Kirksville College. Restoring Phoenix, Arizona cosmetic surgery patients to a refreshed, natural appearance comes instinctively to him. His love of art, architecture and athletics has provided him with a unique and special aptitude in addressing the human form. Whether it is restoring youth or correcting a cosmetic deformity, he attains great satisfaction in achieving ones' ultimate result—the foundation for the Cosmetic Surgery Institute. National lecturer on various anti-aging technologies and cosmetic plastic surgery procedures. Dr. Kotoske has had expert training in the QuickLift® face lift procedure along with other facial plastic surgery and face lift procedures. In addition, Dr. Kotoske has been featured as a medical expert on numerous television channels broadcasted throughout the United States (he has been seen on NBC, CBS, and Fox affiliates). He is a national lecturer on various topics on cosmetic surgery and anti aging technologies.